You may have heard this story in passing: a few years ago a guy in New York attempted to live for a year without making any impact on the environment. 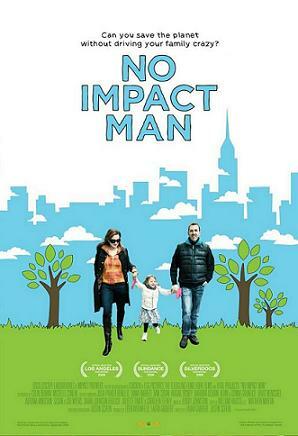 The guy, writer and engineer Colin Beavan, documented his experience in a book, No Impact Man, which was made into a 2009 movie called – you guessed it – No Impact Man. The rest of the book humourously details how Beavan and his family attempted this. He didn’t go cold turkey: rather, he gradually replaced the products, services, and habits he was used to with alternatives. And he didn’t begin as some kind of hyper-environmentally-conscious tree-hugger: among two of the first things he actually changed were to put his milk cartons into the recycling, and switch to reusable grocery bags. Chances are, if you’re reading this, you already do these things and are two steps ahead of where he started. Fast-forward to when they decided to unplug their fridge (responsible for a large percentage of household energy use). Beavan and his family found the only thing they absolutely could not find another way to preserve, or buy fresh cheaply, daily, and in small portions, was milk. Harnessing the power of phase-change thermodynamics, they discovered a solution used in Nigeria, where food spoils quickly in extreme heat and a much smaller percentage of the population owns a fridge. They store their milk and vegetables in an earthenware pot with a lid, inside another, slightly larger earthenware pot. Between the two a layer of wet sand is packed. As the water slowly evaporates, the endothermic process draws heat from the surroundings, cooling the pot, which cools the milk and vegetables. Because the wet sand is packed close and tight, the surface area is minimized and the evaporative process lasts several days. Needless to say, sand need not be the medium – a damp towel will work. This was on the extreme end of their journey – many other issues had already been addressed before they came to this. Many of you will argue that changes in one person’s lifestyle make little material difference. And you will be right. But leading by example – being on the right side of the incremental changing of collective habits – you help to change the perceptions of normalcy among your friends and acquaintances. 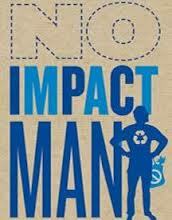 For a humourous read and a few good ideas, check out No Impact Man. This entry was posted in Green Initiatives, Ian Mallov. Bookmark the permalink.